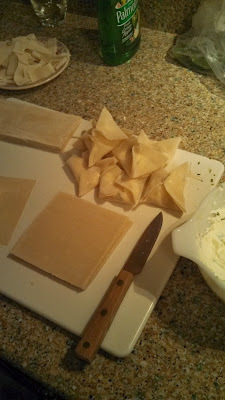 Christmas day ended up with our Asian inspired meal and my cream cheese rangoons totally stole the show. This recipe couldn't be any simpler! 1. Heat oil in pot until it's 350 degrees. You can test this by dropping a little extra piece of wonton in the oil and if it floats and starts to brown right away you're good! 2. 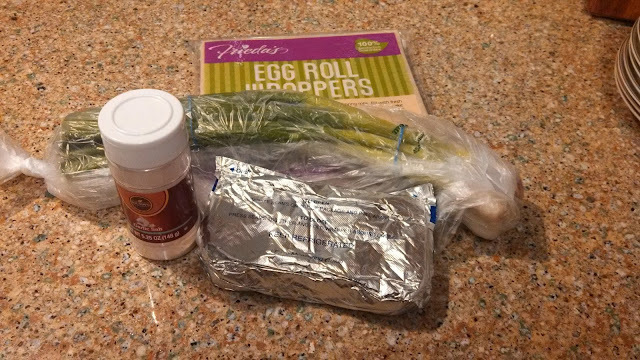 Combine first three ingredients in a separate bowl. 3. 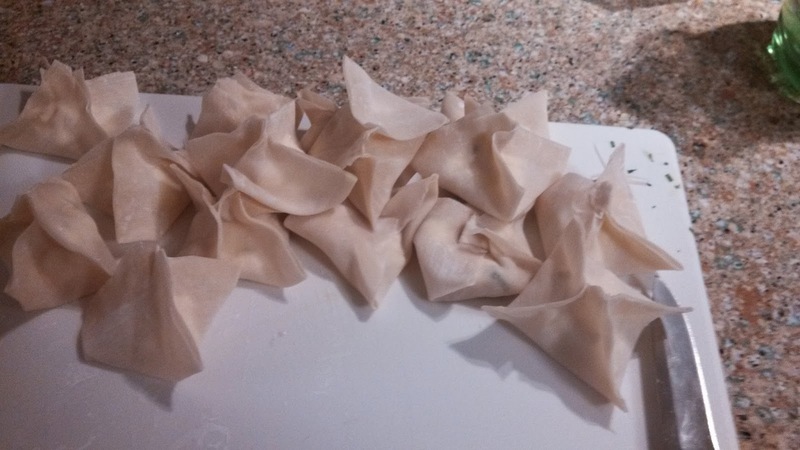 Put about 1 tablespoon of filling in the middle of a wonton. Wet the edges and seal. You might want to push out a little of the air so they don't get puffy & huge. 4. Drop the wontons a couple at a time into the oil and fry until golden brown. You might need to turn the a couple times so the entire pouch is cooked through. 5. Put them on a paper towel covered plate to soak up the extra oil. Cream cheese wontons are one of my favorites! Thanks for this recipe! They look delicious and also really easy to make. I'll have to give them a try. They are both insanely delicious and super easy. I was a little nervous since I haven't done deep frying before but that was really easy too. These look incredible! And somewhat addictive!